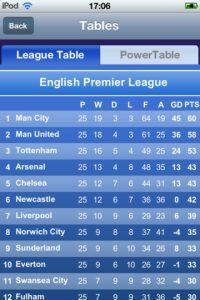 PT Soccer EPL, developed by Powertable Sports, provides exclusive pre-match predictions and analysis for all matches in the top English football league (EPL). If you’re a punter who’s crazy for the world’s most popular sport, you’ve got to check this iPhone app out. 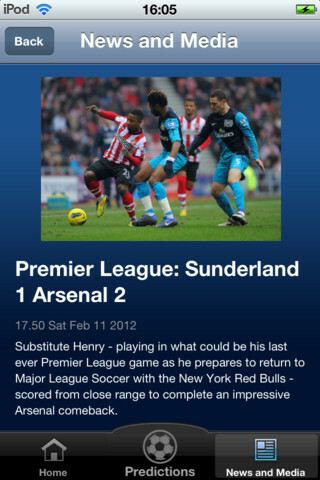 It’s worth noting that PT Soccer EPL only provides predictions and analysis for the English football league (EPL). If you’re into Italian football, the app you want is PT Soccer SerieA. Saying “Me gusta!” to Spanish games? Then the iPhone app you want is PT Soccer LaLiga. 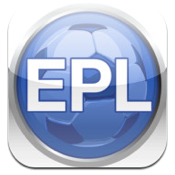 PT Soccer EPL is free, but if you make an in-app purchase of 99 cents, you can unlock additional features by subscribing. 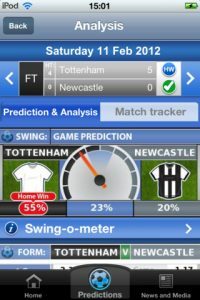 Subscribers get analysis and predictions before the matches, while non-subscribers who don’t upgrade the iPhone app have to wait until after the matches are played to see these features. But even though it’s a pay-to-play app disguised as a free app, there’s plenty of content to enjoy. Download PT Soccer EPL, and even if you don’t upgrade, you’ll get features like Live Match Tracking (including up to the minute info on red and yellow cards, substitutions, and of course, score updates. With a clean, easy to use UI, it’s supremely easy to navigate and find what you need. Also included? News, video, a league table, and a whole listing of the results of previous matches. In other words, it’s the perfect pocket-sized guide to English football. Save yourself the hassle of searching for scores and have easy answers at your fingertips, thanks to this extremely useful football app. 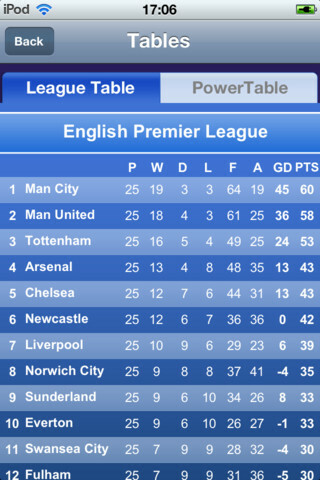 PT Soccer EPL is compatible with iPhone, iPod touch, and iPad. Requires iOS 4.0 or later.